Despite improved dental care, many people will still lose teeth during their lifetime and with longer life expectancies this can be a problem. Missing teeth can negatively affect a person’s self-esteem, their self-confidence and can make it difficult to eat comfortably. Dental implants offer a sophisticated solution for tooth loss. No longer new, dental implants have become a routine dental treatment since being introduced onto the market several decades ago. Success rates for treatment can be 95% or more and the technology and implant components used in treatment are continually being researched and improved. If dental implants are an option you are considering, try to choose an implant dentist who offers advanced technology and who routinely places dental implants. Much of this technology is digital and it can help improve your overall experience in the dental chair and will help enhance the outcome of your treatment. Dental implants are not the cheapest way to restore missing teeth. In the longer-term, they can prove very cost-effective, provided your implant treatment has been correctly diagnosed and planned in the first place. The most innovative technology used during dental implant planning and placement include cone beam CT scans and digital treatment planning. It also includes custom-made surgical guides and digital impressions. When assessing you for dental implants, your dentist needs to be able to visualize areas of your mouth normally hidden from view. This includes your jaws and other structures such as your sinuses and nerves. A cone beam CT scan produces digital 3-D images of your teeth, jaws and all the other important structures in your face. To do this it takes a series of digital x-rays before combining them to create a single 3-D image. A cone beam CT scan is different from a normal CT scan. This is because the radiation is concentrated into a single cone-shaped beam so less radiation is produced that with a conventional CT scan. By using this 3-D image, your dentist can see all the vital structures in your mouth and most importantly they can see the bone. For implant treatment to be successful, there must be good quality bone. When people lose teeth, they can often lose some of their jawbones, especially when teeth were removed some time ago as the jawbone gradually reabsorbs. Your cone beam CT scan is used to digitally plan treatment. Using the images obtained from your cone beam CT scan, your dentist will carefully assess your teeth and jaws and can virtually plan the entire treatment. They can decide exactly where each dental implant should be placed and even which size implant should be used. This allows them to place implants in optimal positions, considering the amount of available bone. This includes the important structures that must be avoided during treatment including nerves and blood vessels. When planning this treatment, they also consider the final outcome as dental implants must be optimally planned so they can be properly restored. If a dental implant isn’t placed in the correct position, it makes it very difficult to restore it with an aesthetically pleasing and fully functional crown, bridge or denture. If you don’t have sufficient bone, you may need to have a grafting procedure that might be done before implant treatment begins. It can be carried out at the same time. Bone grafts can help build up the width and height of the bone that will surround the dental implant. This can be especially useful when placing implants in your upper jaw towards the back of the mouth as these are closest to the sinus cavities. Bone in this area is often naturally thinner so it’s not unusual to need a sinus graft or lift. When your dentist is planning treatment, you do not need to be present. The nice thing about this technique is that when you have your implant surgery, it helps to ensure the procedure is smoother, faster and less invasive. It helps ensure that it provides more predictable results. This is when the advanced planning really comes into its own. Once your dentist has fully planned your implant surgery then it’s highly likely they will make a custom-made surgical guide. This is manufactured to fit exactly in the mouth and precisely over the contours of your gums. It is specifically designed for the type of implants that will be used during your surgery. A surgical guide is used by dentists to ensure that when they place the dental implants, they do so in exactly the right location. The surgical guide will allow a dentist to place the implant in the precise position indicated in your treatment plan and at the correct angle and depth. The surgical guide is made using your digital treatment plan and is extremely accurate. Although technically your dentist may not choose or need to use a surgical guide if they are highly experienced, it can be very useful. They do not need a surgical guide if they only need to place one implant, but it can be extremely useful. It’s very useful when placing multiple dental implants. It allows them to place each implant with greater precision so you will enjoy more reliable and predictable results. Once your implant surgery is over then the next step is to make the restorative teeth. When these are to be crowns or bridges, it’s possible your dentist may take a digital impression. This is a sophisticated device that is becoming increasingly common and it can be far more comfortable than having a conventional tray impression. Instead of a conventional impression, your teeth are scanned using a tiny handheld device which takes many images each second. These are used to create a 3-D virtual impression of your mouth which is then sent directly to the dental lab. The whole process is very quick and your dentist will be able to instantly view the images taken on the screen in the surgery. This allows them to check the impression and to magnify certain areas just to make sure it is perfect before it is emailed to the lab. The impression can then be used by the dental laboratory to create a physical model that is used to fabricate your new restoration. 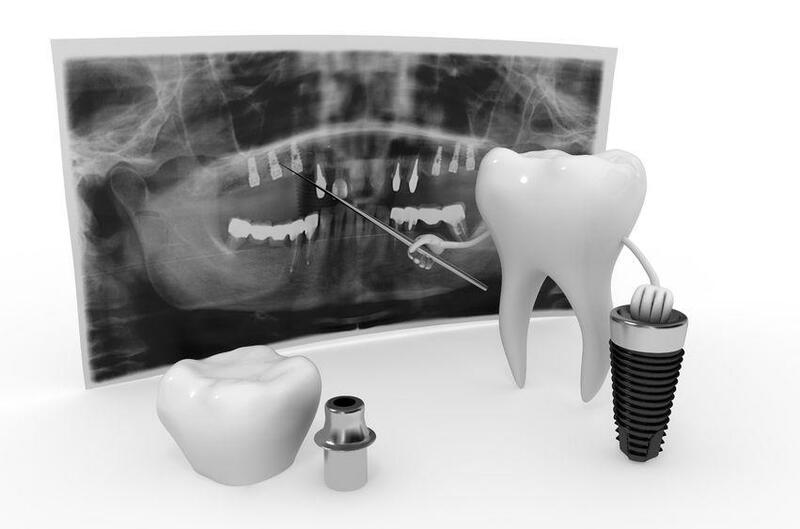 All this newer technology will help ensure your implant treatment is a complete success. This is while providing you with a more comfortable experience than ever before. Many people when receiving dental implant treatment are surprised at just how quick it is to place just a single implant. Often there is minimal or no discomfort afterward.